How do I edit a board? 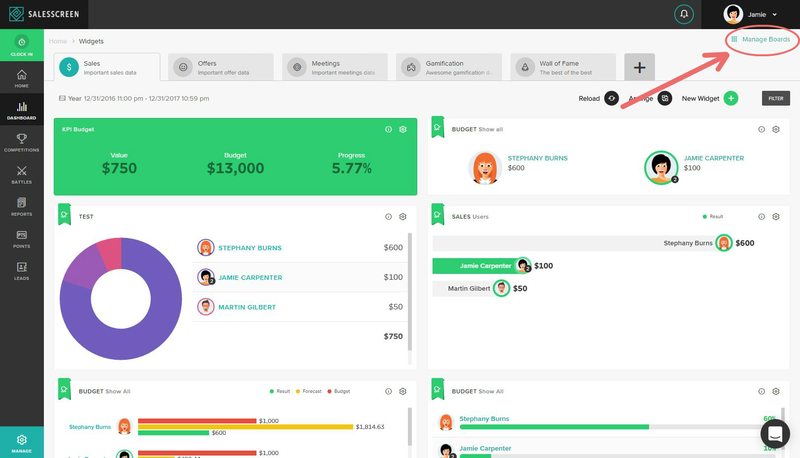 To edit an existing Board you first need to access the Dashboard area of SalesScreen. This is done by pressing the Dashboard link located on the left side menu. 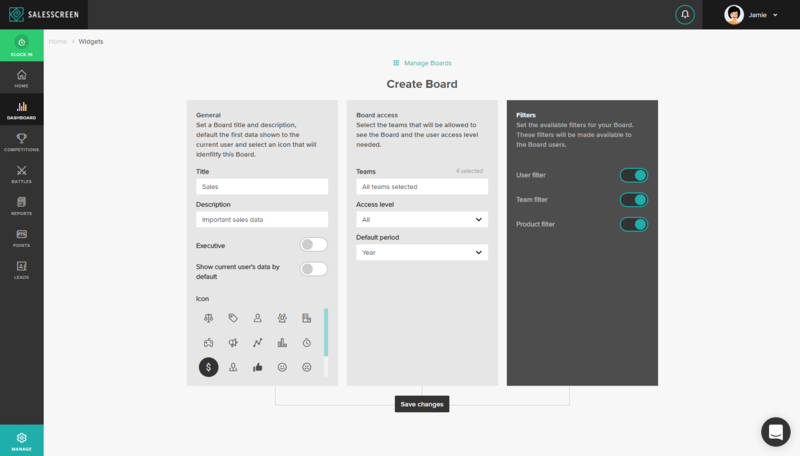 From the Dashboard you can see an overview of your Boards by pressing "Manage Boards" in the top right corner. You will then be presented with the Boards that have been created in your company. Press the edit button on the Board you want to update. You will then be taken to a view that will let you set the various Board settings explained below. Title: The title of your Board. Description: The description of your Board. Executive: If your company is connected in an Executive group, this switch will be made avaialble. Turning this on will let you create Executive widgets that have the possibility of retrieving data accross companies. Icon: The icon connected to your Board. Teams: The teams that will be allowed access to the Board. The Board will not be visible to teams that do not reside in this list. Access level: The access level required to view the Board. Default period: The default period set on the Board filter. User filter: Enable to let users filter Board data on a user level. 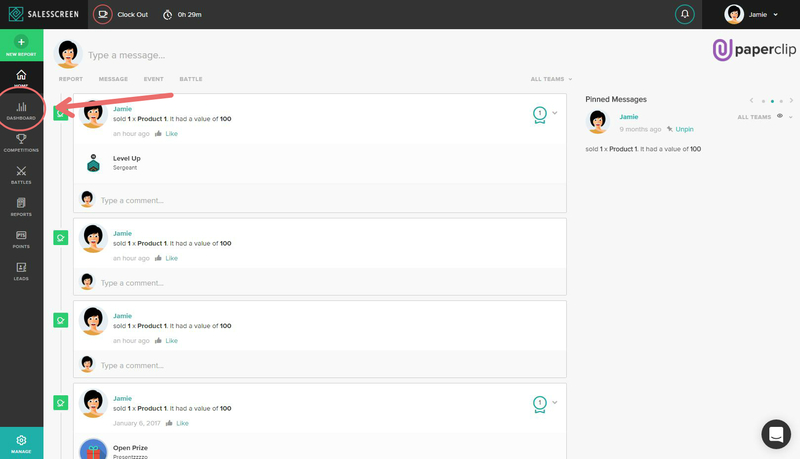 Team filter: Enable to let users filter Board data on a team level. Company filter: Enable to let users filter Board data on a company level. Product filter: Enable to let users filter Board data on a product level. Once you have made the changes you want. Press "Save changes" in the bottom part of the screen.